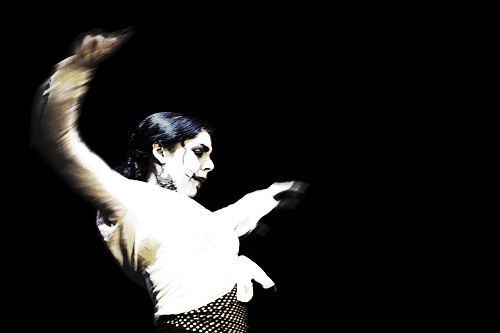 Pure Flamenco Show, with the possibility of tasting the new Andalusian cuisine and tapas from Seville known, including: Ticket and dining option chosen. Pick up point: Maria Auxiliadora Avenue 18A. Pick up time: 7:00 pm & 9:00 pm. In the emblematic district of la Macarena, an old building built in the nineteenth century, with its structure typical Sevillian Palace House, home to our show, a place where art, charm and passion come together to enjoy in our tablao and show all lovers of flamenco roots depth, the feeling of their land and the sensitivity of its performers. We invite you to visit our show room in an elegant, spacious and airy, ensuring comfort and direct view to the stage, to enjoy flamenco in its purest form, where every detail is important and inside which exquisitely framed with our tablao. With the chance to taste the new restaurant in our Andalusian cuisine and the famous tapas Sevillanas. Return Point & Time: same as point of departure.